Crisman Hollow Road/274 is closed February 1 to April 1. 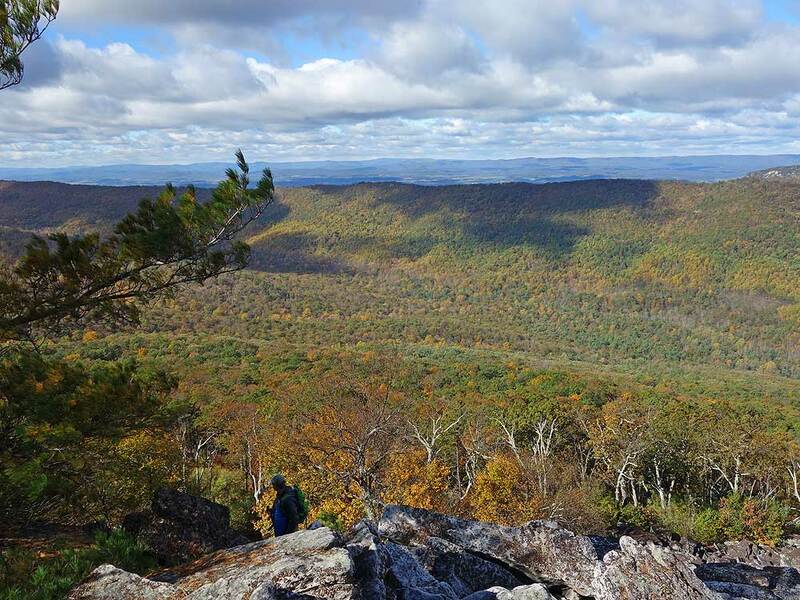 Along with sister hike Duncan Knob Hollow, Duncan Knob climbs Catback Mountain in the Massanutten Range offering solitude, a rock scramble, and great views of the Massanutten Range and Shenandoah Valley. 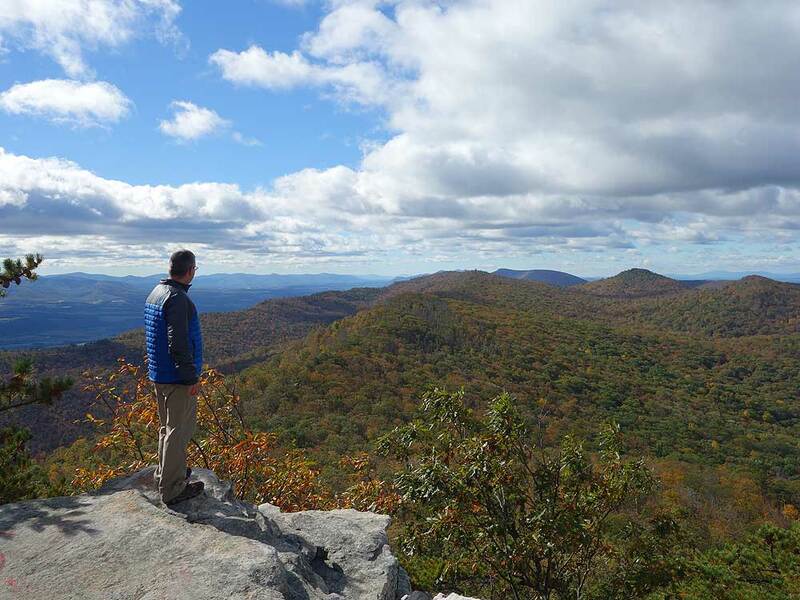 Choose from either the 3.6 mile out and back to the Duncan Knob summit from Gap Creek, or make the longer 8.5 mile circuit hike from Scothorn Gap. There are multiple good camp sites on both hikes, including a site at the summit with gorgeous sunset views to the southwest. Mile 0.0 - From the parking area along Crisman Hollow Rd follow the side track and blue blazed Gap Creek Trail for 100 yards to the first campsite on the left. 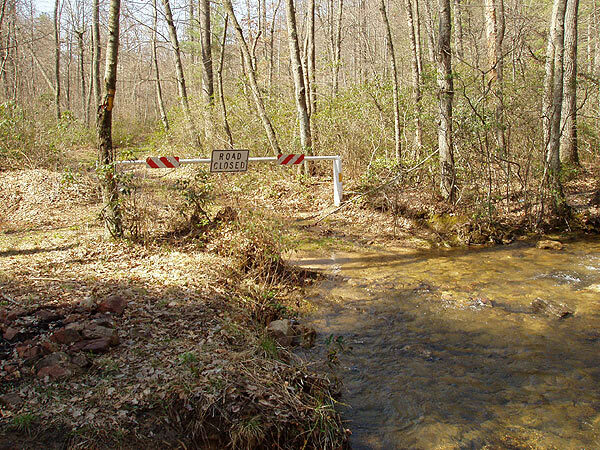 At this point the Gap Creek Trail turns left and crosses a wooden footbridge over Gap Creek. 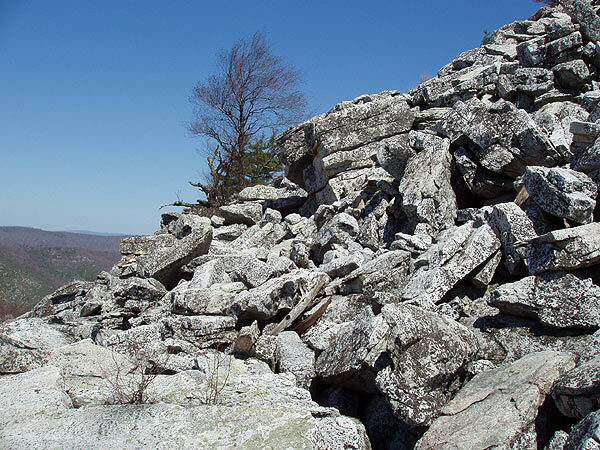 The trail is initially rocky as it climbs Catback Mountain. Make six switchbacks in the first 1.2 miles then arrive at the intersection of the yellow blazed Scothorn Gap Trail that comes in from the right. 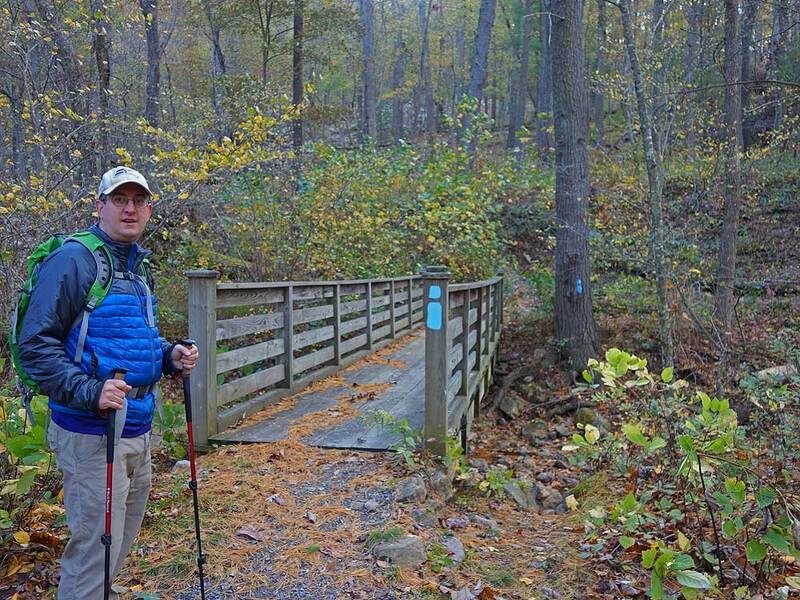 Mile 1.2 - Continue climbing on the blue blazed Gap Creek trail for another 0.3 miles to Peach Orchard Gap where there is a large campsite. The white blazed Duncan Knob Overlook Trail is on the left in the saddle. 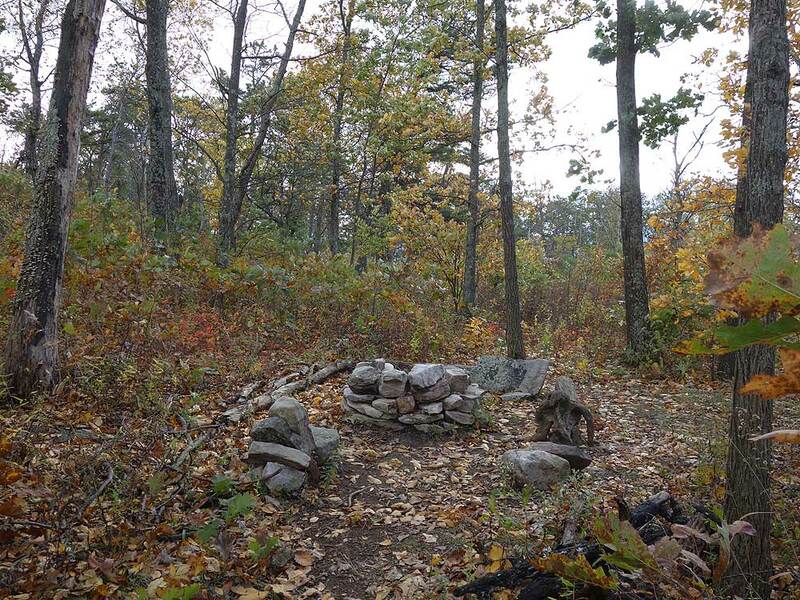 Mile 1.5 - Turn left onto the white blazed trail then in 0.1 miles pass a campsite on the right. After the campsite the trail becomes more rocky and harder to follow. 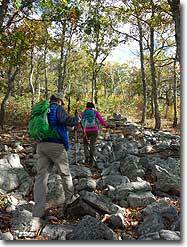 Look for rock cairns to guide you. As the trail enters the rock slide below Duncan Knob stay to the left and around the largest bolder in the field before heading uphill to the ridge. At the ridge there is a small campsite suitable for a single tent. 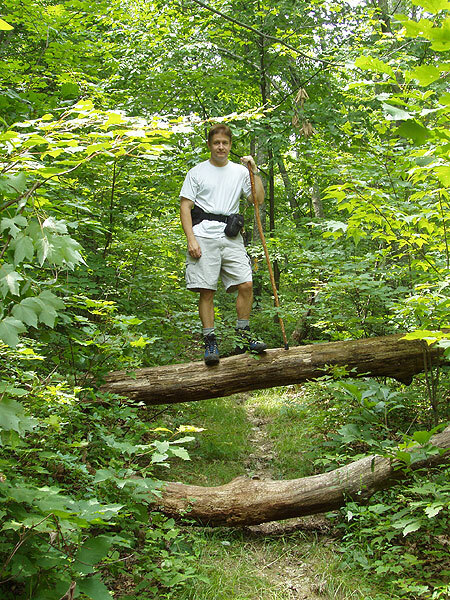 Follow the trail right to the overlook. 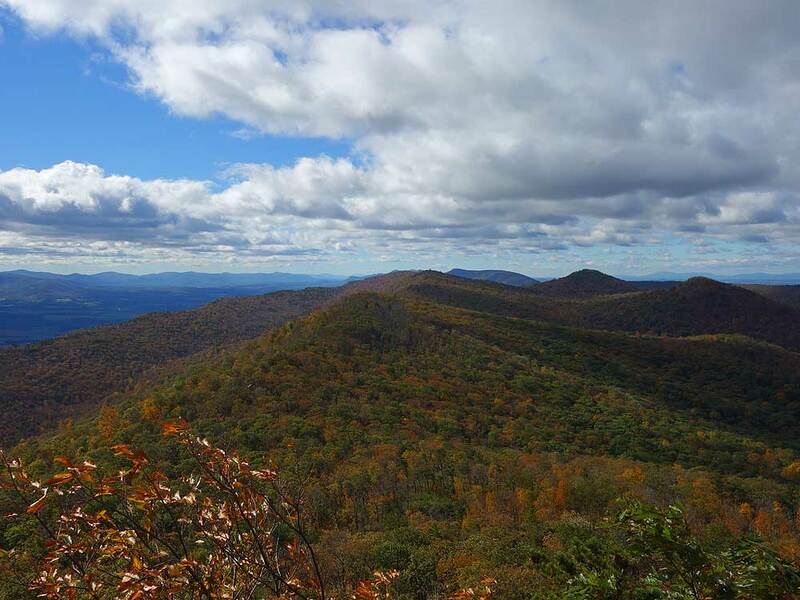 Mile 1.8 - From the overlook there are expansive views to the south of the Shenandoah Valley and west towards New Market Gap. 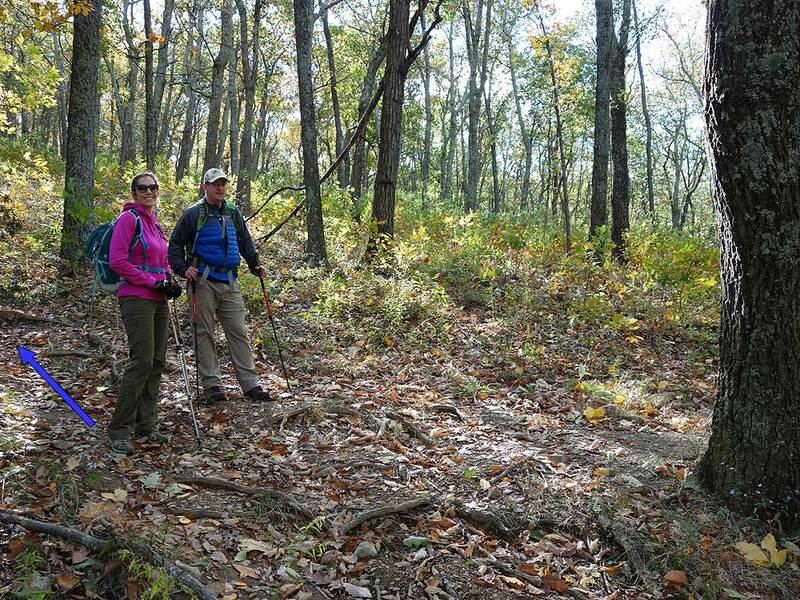 Return back to the intersection with the Gap Creek Trail at Peach Orchard Gap. 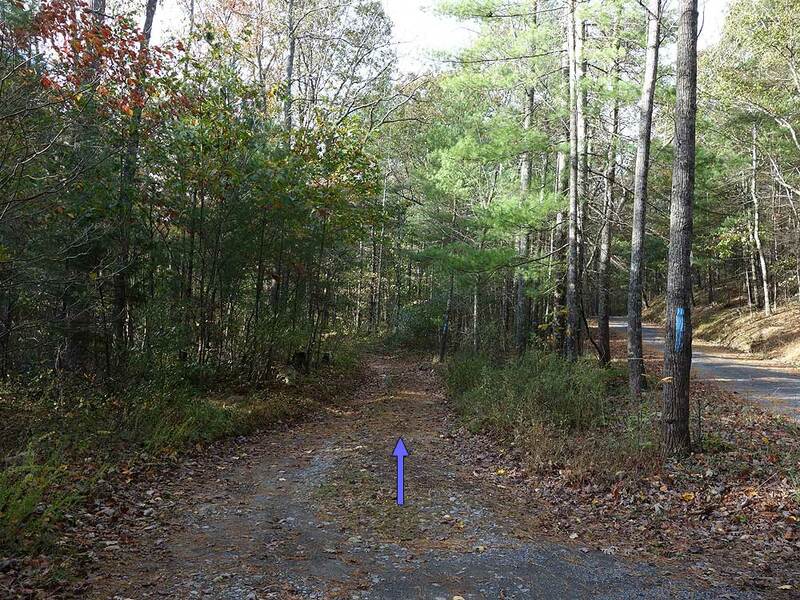 Mile 2.1 - Turn right downhill on the blue blazed Gap Creek Trail retracing your route back to the parking area on Crisman Hollow Rd. 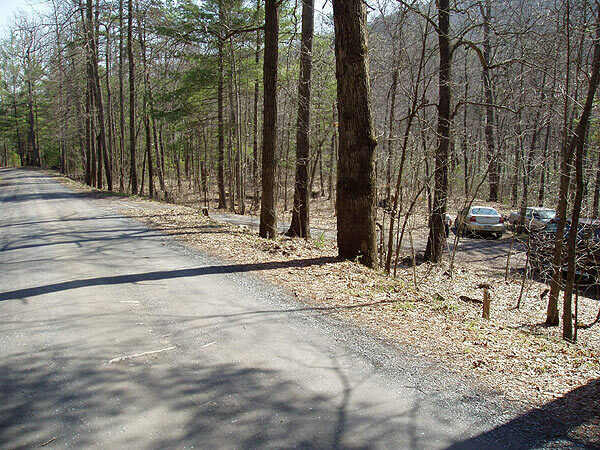 Mile 3.6 - Arrive back at the parking are on Crisman Hollow Rd. Mile 0.0 - Take the yellow blazed Scothorn Gap Trail uphill after crossing Passage Creek. 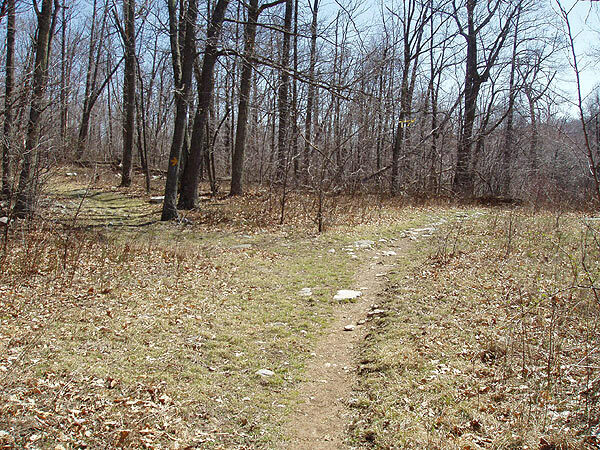 Traverse one switchback and climb steeply, pass a clearing then a pond at 1.2 miles. Depending on what time of the year it is the pond might be completely dry. Mile 1.4 - Arrive at a four way intersection. 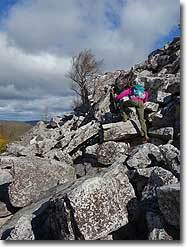 The yellow blazed Scothorn Gap Trail turns left, and directly ahead is the orange blazed Massanutten Trail which you will use to return. To the right is the Massanutten Connector Trail. Turn left staying on the Scothorn Gap Trail. 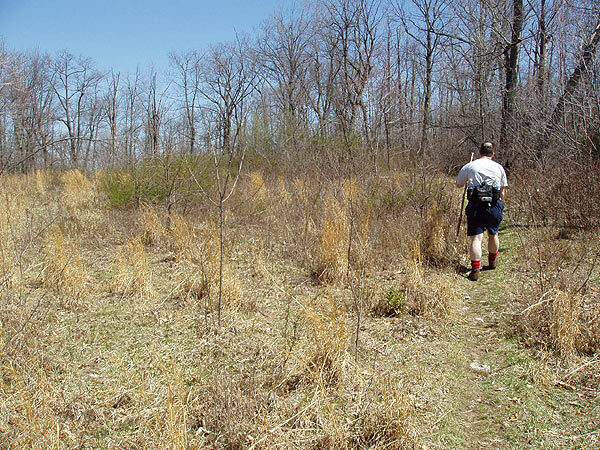 The trail gradually rises and passes a small clearing then ends at the intersection of the blue blazed Gap Creek Trail. 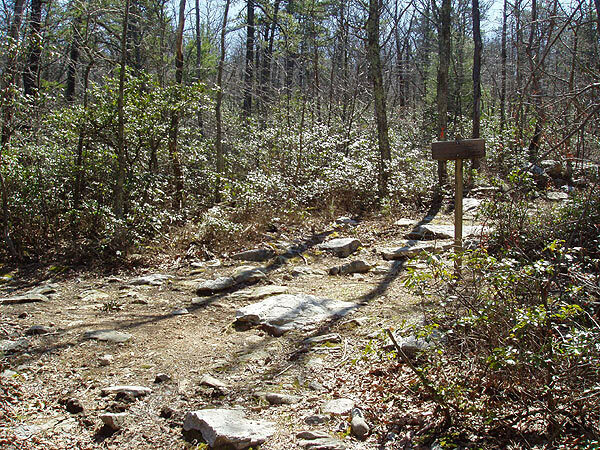 Mile 3.0 - Turn right uphill on the blue blazed Gap Creek Trail for 0.3 miles to Peach Orchard Gap where there is a large campsite. The white blazed Duncan Knob Overlook Trail is on the left in the saddle. 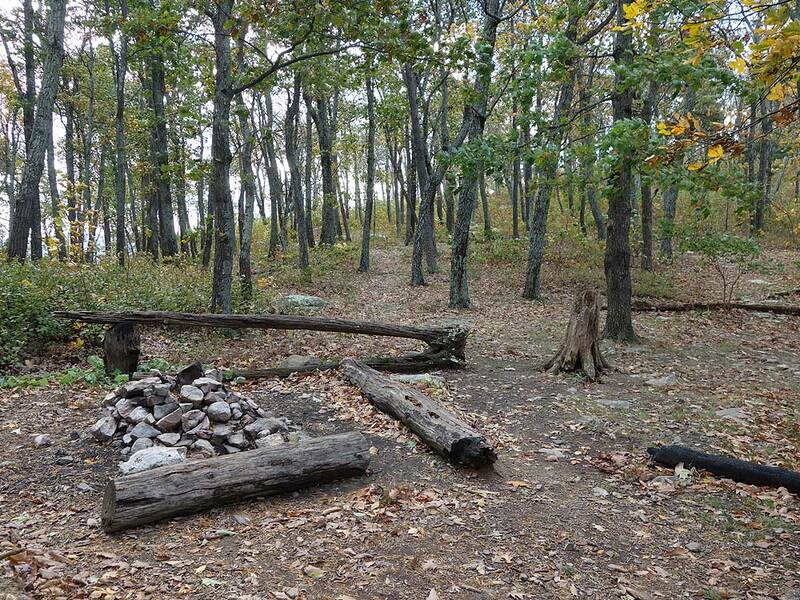 Mile 3.3 - Turn left onto the white blazed trail then in 0.1 miles pass a campsite on the right. After the campsite the trail becomes more rocky and harder to follow. 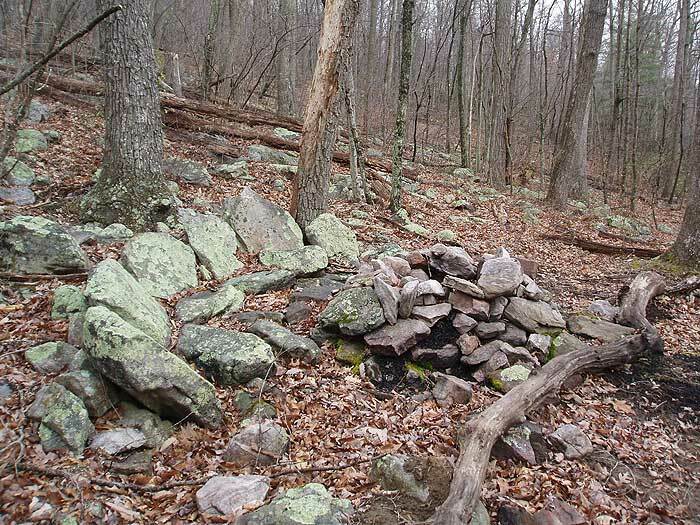 Look for rock cairns to guide you. 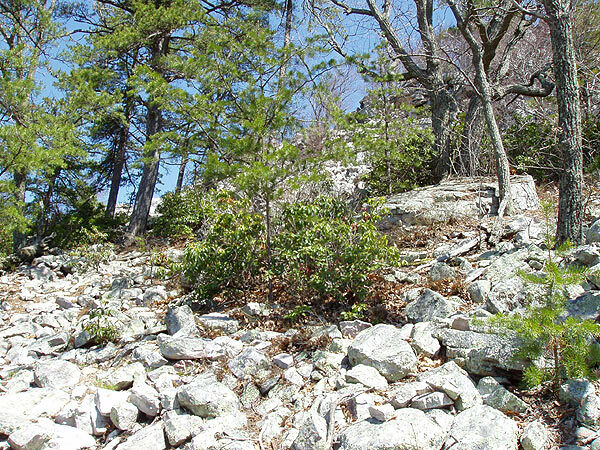 As the trail enters the rock slide below Duncan Knob stay to the left and around the largest bolder in the field before heading uphill to the ridge. 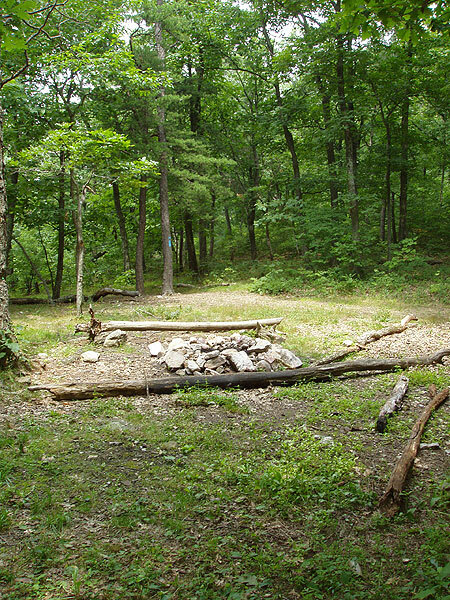 At the ridge there is a small campsite suitable for a single tent. 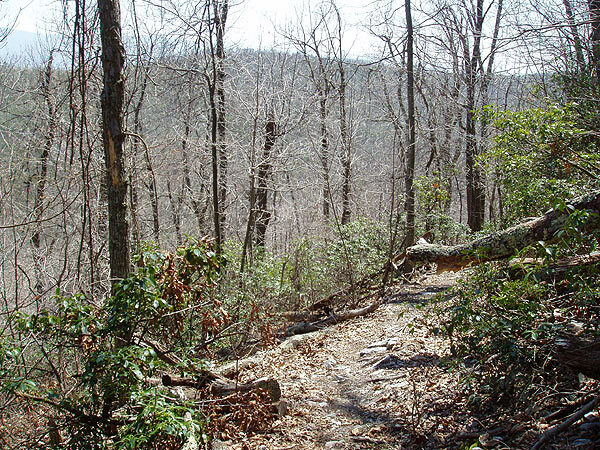 Follow the trail right to the overlook. 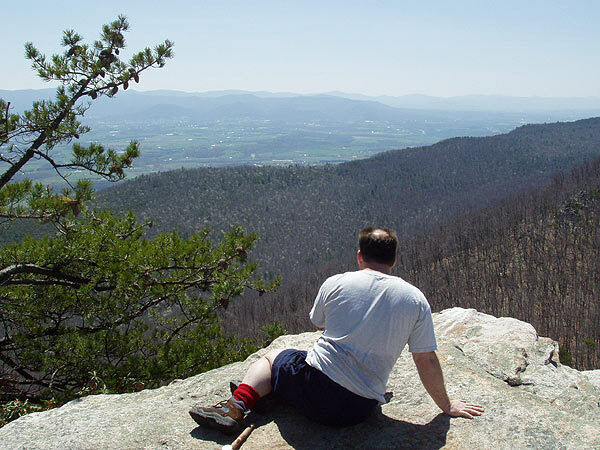 Mile 3.6 - From the overlook there are expansive views to the south of the Shenandoah Valley and west towards New Market Gap. 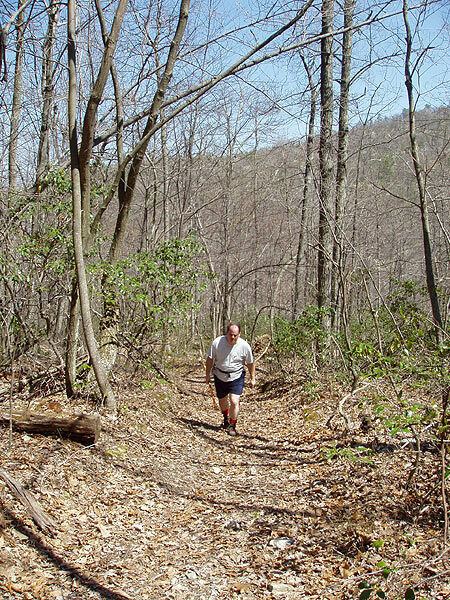 Return back to the intersection with the Gap Creek Trail at Peach Orchard Gap. 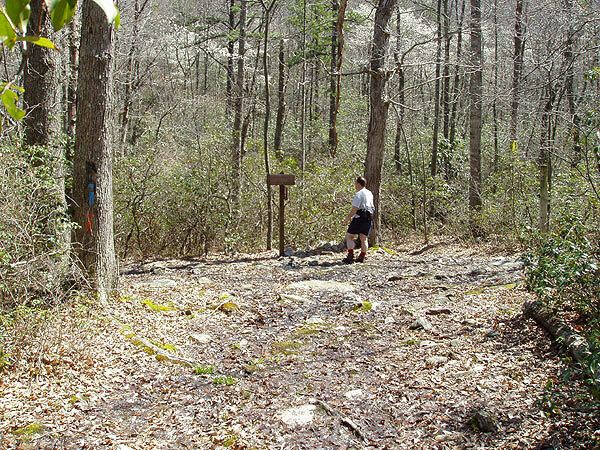 Mile 3.9 - Turn left downhill on the blue blazed Gap Creek Trail (steep) where the blue blazed trail ends at the intersection with the orange blazed Massanutten Trail. 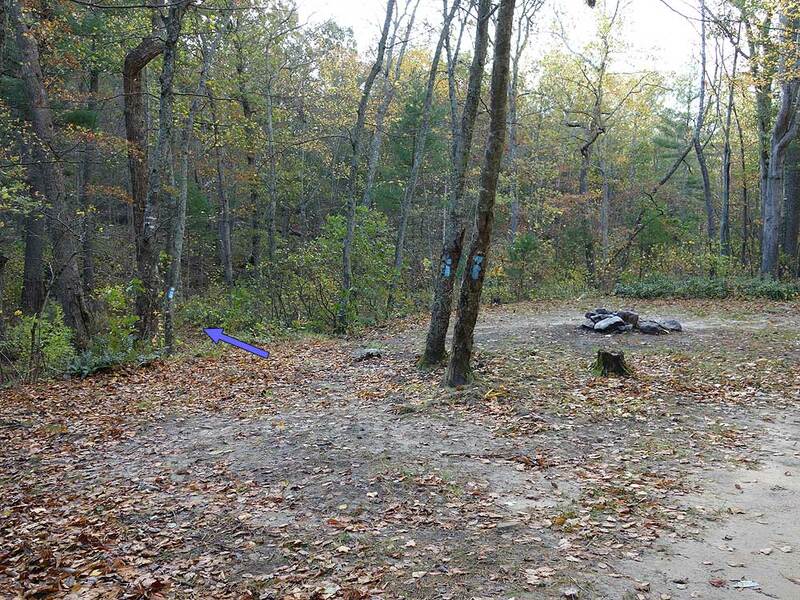 Directly across the run is a large campsite suitable for multiple tents. 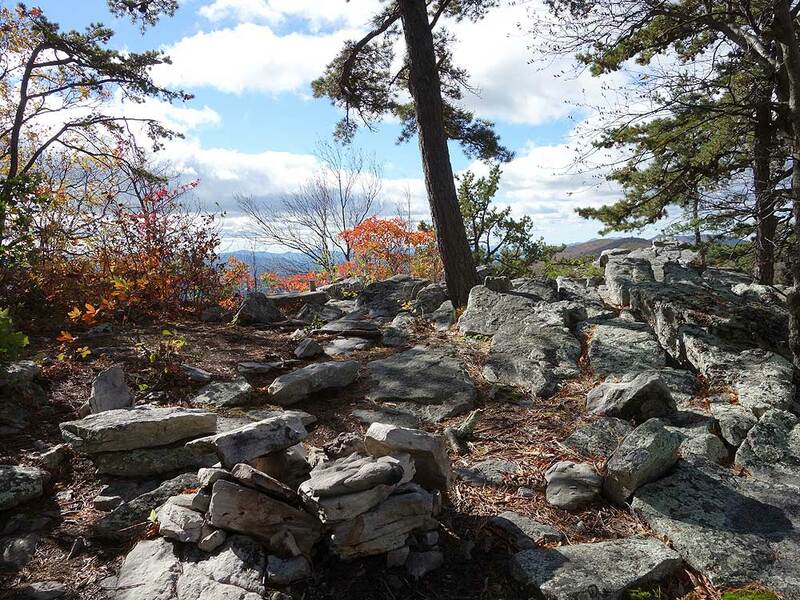 Mile 4.4 - Turn right upstream on the orange blazed Massanutten Trail for 1.8 miles, then the trail makes two long switchbacks becoming steeper and crests Middle Mountain at the intersection with the unofficial pink blazed Strickler Knob Trail. 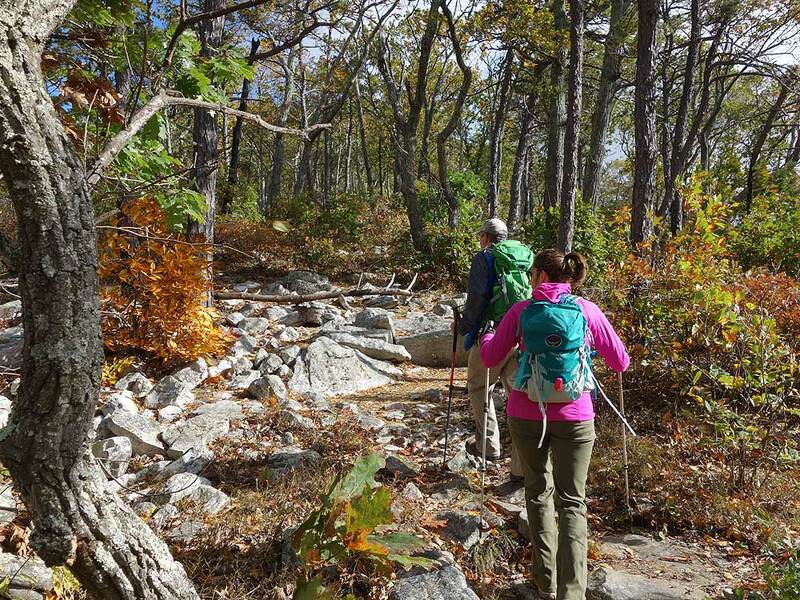 Mile 6.5 - Descend on the orange blazed trail back to the intersection with the yellow blazed Scothorn Gap Trail where the orange trail turns left. 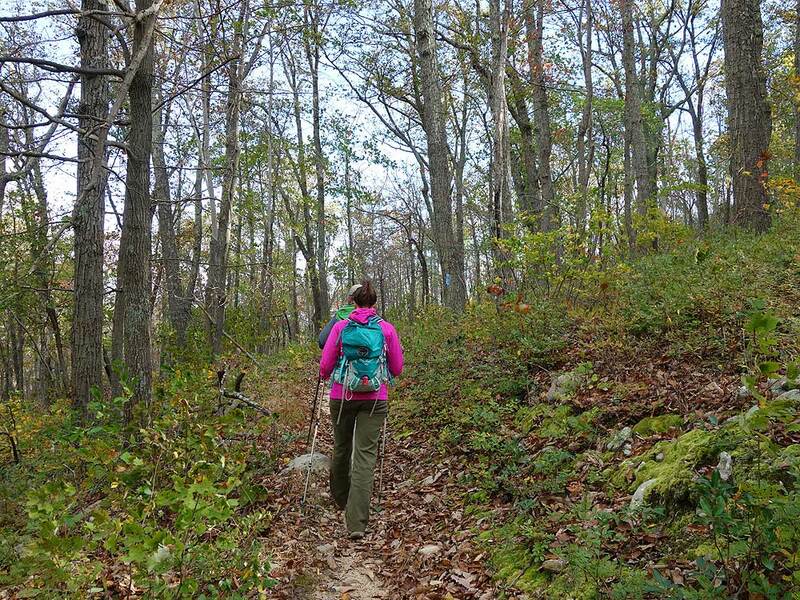 Mile 7.1 - Continue straight on the yellow blazed Scothorn Gap trail past the pond retracing your route back down to the Scothorn Gap parking area on Crisman Hollow Rd. Mile 8.5 - Arrive back at the parking are on Crisman Hollow Rd. We did the Gap Creek up and back. I would note that the park service is currently performing controlled burns until May, so technically the trail is closed. We went right after a rain storm and chatted with some campers who said they had not seen any rangers performing burns since they had been there so we proceeded with the hike. Half of the mountain had been burned already, so the landscape is quite charred and black. The smell in the air was still very much of a recent burn. While the hike itself was great for a quick afternoon hike, the rock slide was awesome, and the view was beautiful (though the trees have not yet sprouted leaves yet) please call the ranger's number posted on the tree at the trail head to ensure there are no burns taking place that day!! My wife and I did the Scothorn Gap Loop on Thanksgiving day. 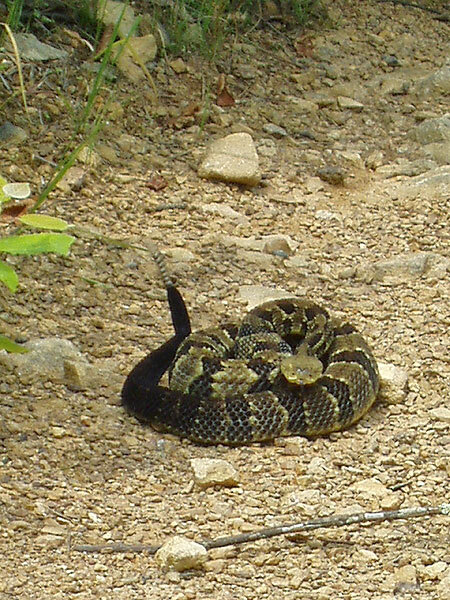 A very enjoyable hike! 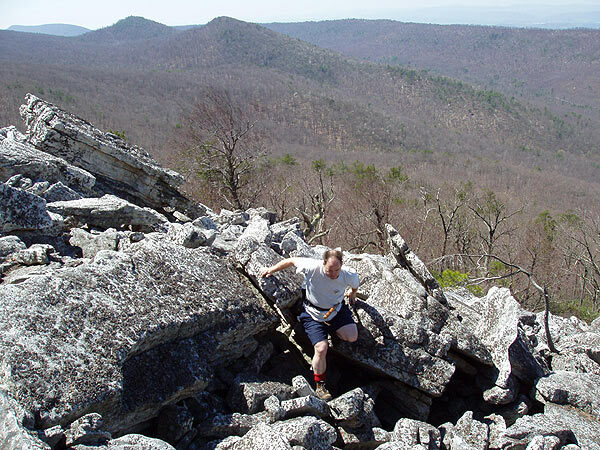 The route is great, and the vista from Duncan Knob is spectacular, with a fun rock scramble to get to the top. 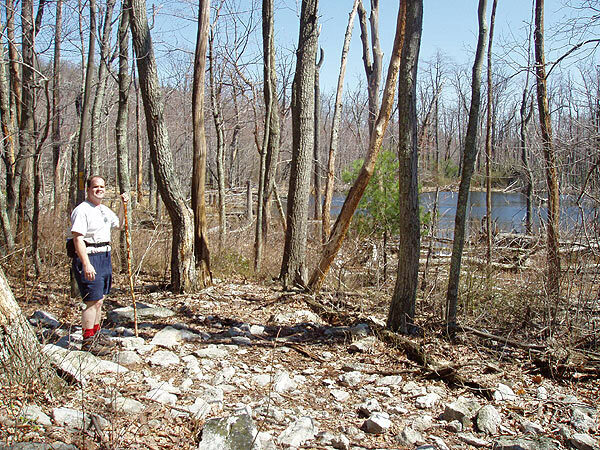 Because of all the rain this year, the trail was incredibly muddy, with large portions covered in standing or running water, forcing us to carefully pick our way along the edge of the trail (dodging the wicked briars!). It slowed us down considerably, and resulted in some damp socks by the end. 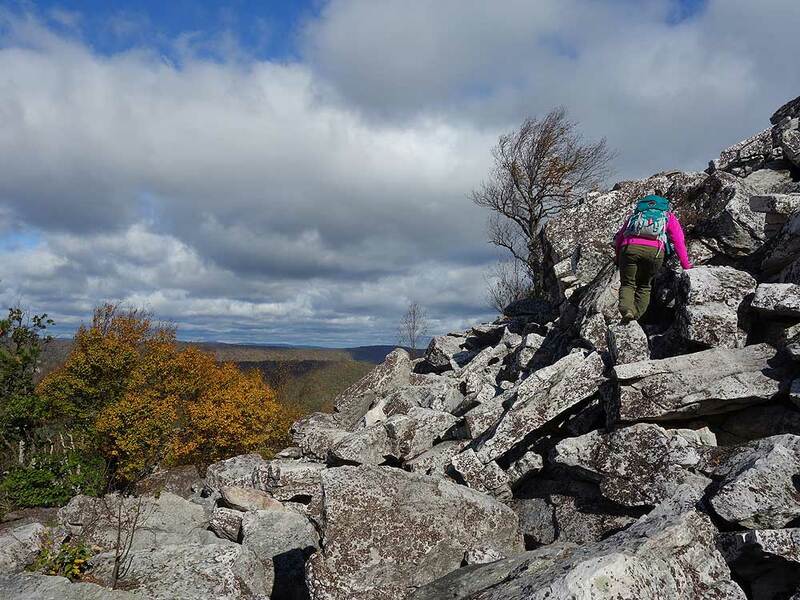 I definitely recommend the hike, but be sure to do it with sturdy waterproof boots with good ankle support, as the trial is at times covered with fist-sized ankle breaker rocks. Thanks hiking upward! 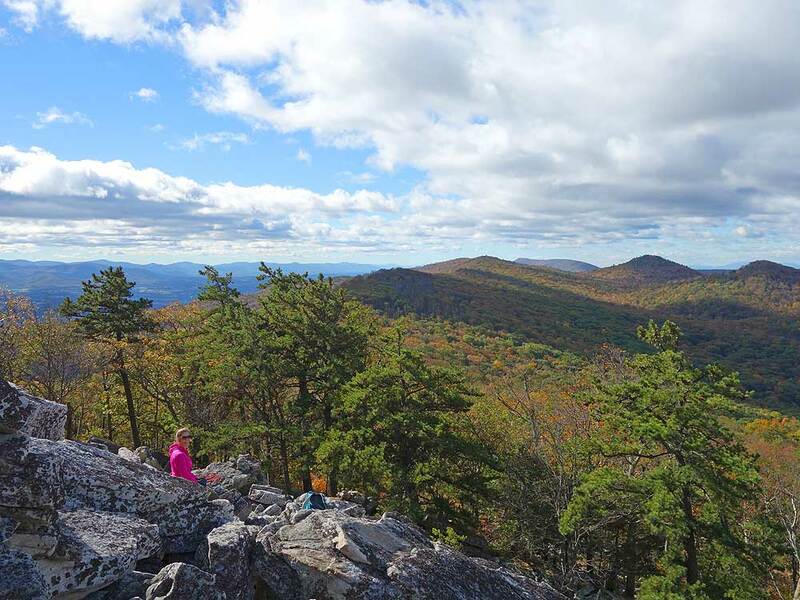 We decided to avoid the crowds at Shenandoah National Park on Columbus Day weekend, so we opted for this lesser-known GWNF hike. 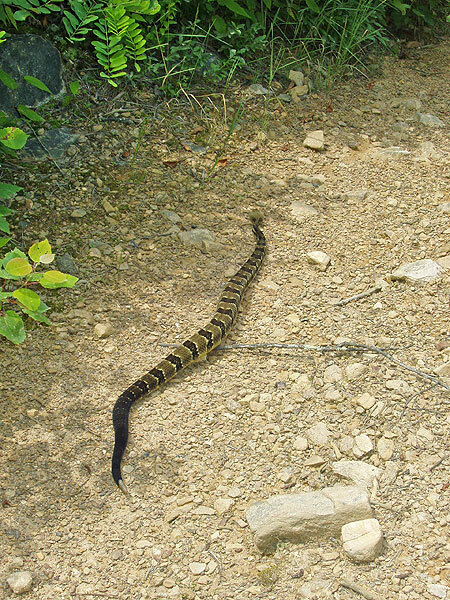 I was expecting more people on the trail on the knob on a warm holiday weekend, but we only saw a few groups along the way. 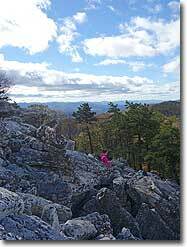 Overall a fairly easy to moderate hike up to the Gap Creek Trail, then a fun rock scramble to the top of Duncan Knob. There is no set route up the knob, so we decided to go slightly to the left and straight up the rocks. On the way down, we opted for a more gradual descent on the shoulder. 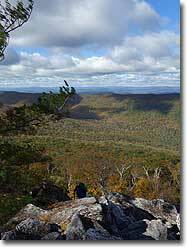 The views up top are great and would be even better when the leaves are off the trees. If you're planning to camp up there, make sure to bring plenty of water. We had attempted an overnight on the nearby Scothorn Gap Trail along the stream, but it was bone dry in July. Bottom line: Great hike but watch out for road closures! Also, the boulder rock scramble is fantastic but very perilous in the snow. 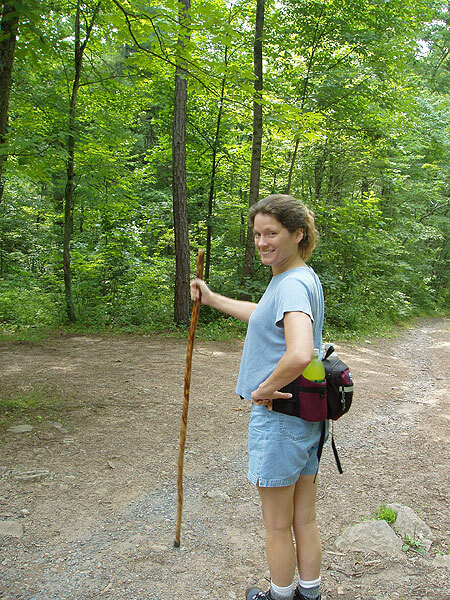 We planned on parking at the Gap Creek Parking Area and hiking around the loop. However the Crisman Hollow Road was CLOSED near the intersection of Camp Roosevelt Road, about 3 miles or so from Gap Creek Parking Area. We figured there was also no way to get to the Scothorn Gap trail head without going all the way around to 211 and who knows if Crisman would be closed off from that direction too. So, we called an audible, took a right on 675, and parked at the Stephens Trail Parking area. 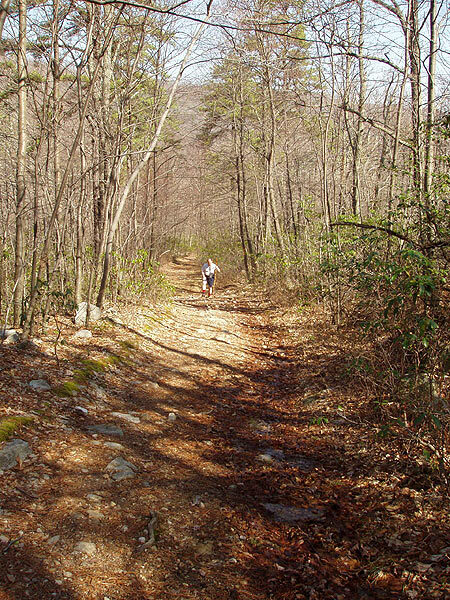 We took the Massanutten Trail SouthWest about 3 1/2 miles until taking a right on Gap Creek Trail towards Duncan Knob. Printing out the map from this site ahead of time was a lifesaver since we didn't have any cell signal. 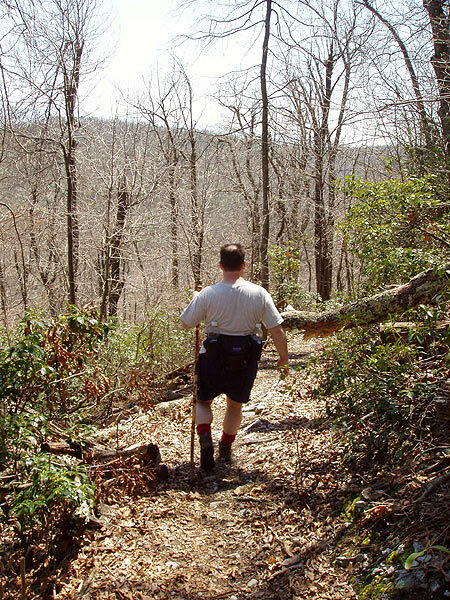 Like another reviewer, we walked right past the Duncan Knob trail, even while we were looking for it. The white marker is rubbed off and the snow on the ground didn't help. 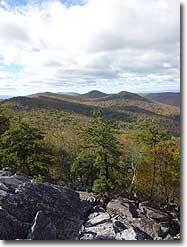 However, you can avoid our error by getting to the top of the ridge - in the saddle - and looking to the right. (If you start going downhill for a while, you've missed it!) From that saddle area, you don't really need to find the exact trail. Even if you just bushwacked it from there up towards the top, you could get there just fine. 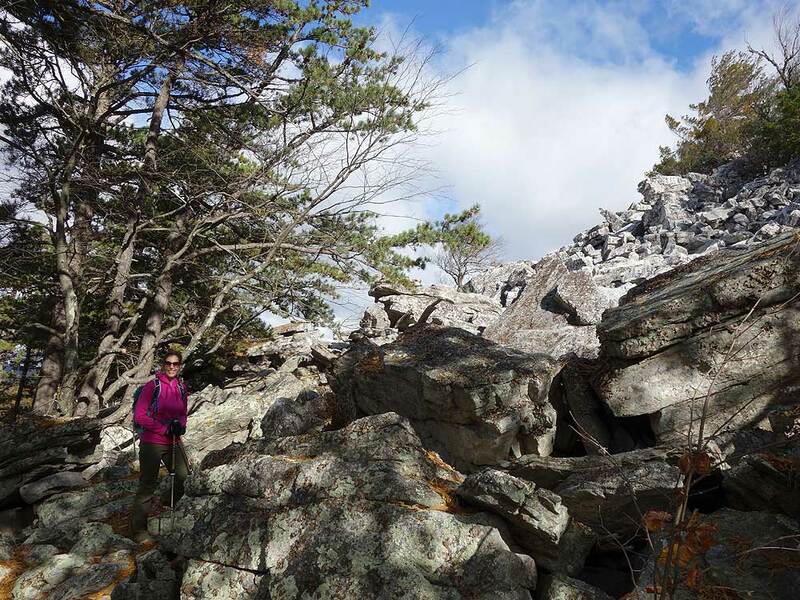 Once you get to the boulder field, following the little cairns (stacked piles of rocks) was really fun. The rock scramble to the top is great, although is was very treacherous in the snow. You couldn't see where holes were between rocks and everything was slippery. However, once we inched our way to the top, the views were really beautiful. Going in the winter meant a more expansive view without leaves blocking it. We hiked back the way we came. 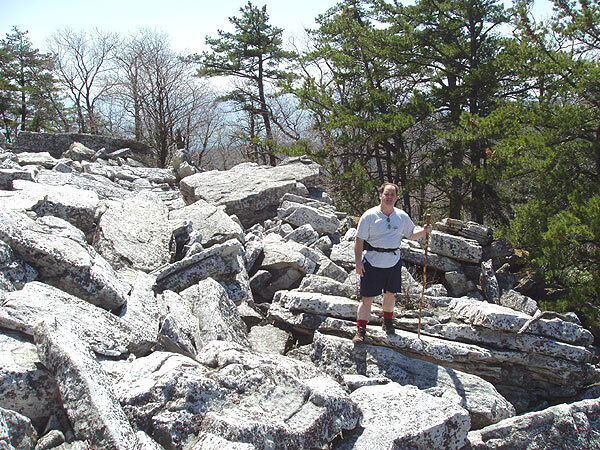 If you don't miss the Duncan Knob trail like we did, the there and back distance was 9.4 miles. Will someone please bring a can of white paint out to mark the trail to the summit? Or do the Boy Scouts do that? 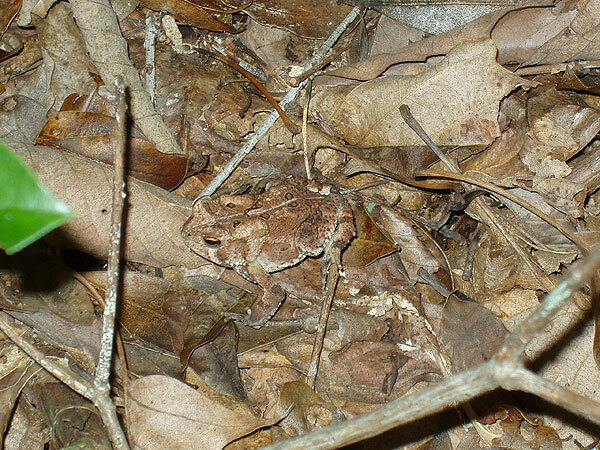 The white blazes are faded out. We almost missed this trail. 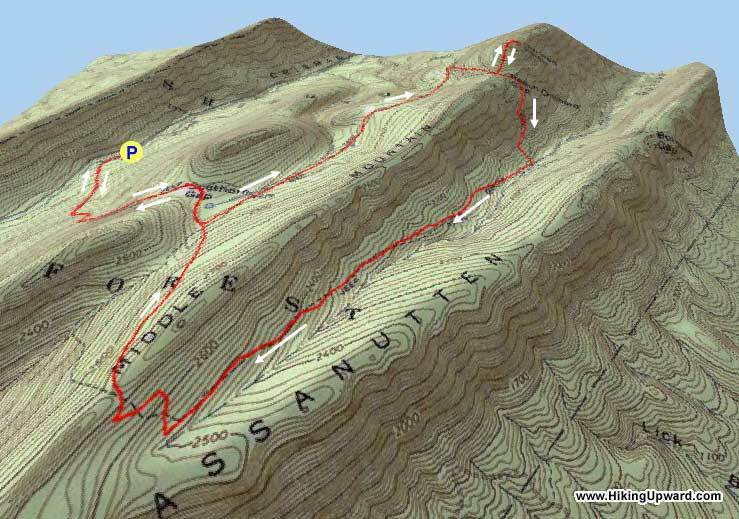 When the blue trail is at the crest of the saddle, that is where the skinny White spur trail is. There are no blazes in sight and we walked right past it, and a runner came up behind and missed also. We doubled back before we went downhill very far. At the boulders we scrambled way to the left. It was not as steep and there was a view that otherwise one would miss if they went straight up the rocks. It was a nice hike. The views should be great in the winter. We hiked on a blue-sky day just after 3 days of rain. The yellow trail downhill was like walking a flowing creek bed, and it was quite muddy on all the segments, but navigable. I give it , on this day, 3 stars over all, 4 for difficulty, 5 for streams that otherwise are not there, 3 for views. We will come back here in the winter, for sure.